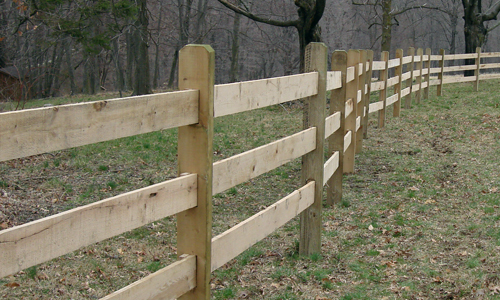 As a Red Brand Certified Fence Installer, we ensure the best quality installation services for fences and gates. Rather than using the more common auger method, our posts are installed using hydraulic drivers to better maintain the soil. The incredible strength we achieve by the hydraulic post driver method will give you the straightest and most durable fence lines and gate posts which will last for years to come. 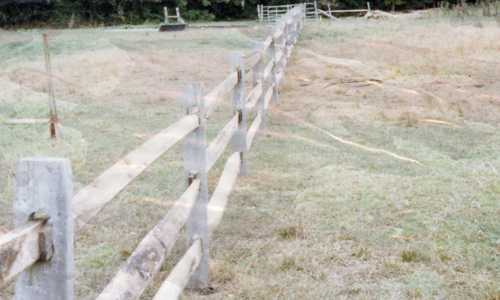 Using this method, our fences will never lean or frost heave, even when the horses walk along the fence line in the softest times of the year. 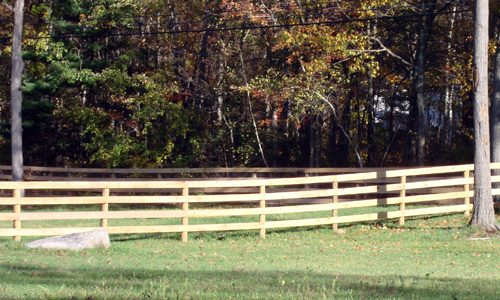 Being a hardwood, oak is able to sustain horses cribbing and chewing on fences. This very durable fence is our most popular model. Offered in 3 or 4 rail heights with posts spaced on 8′ centers using 16′ oak rails spanning 3 posts. 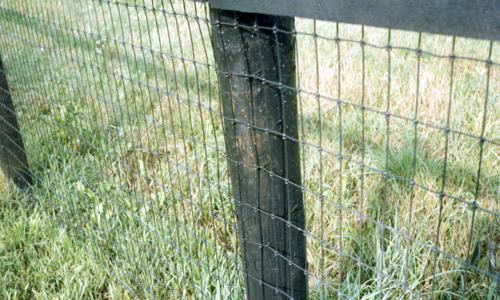 Mesh wire fences are considered to be extremely safe for broodmare and foals, while also keeping out predators. Diamond mesh wire is known to be durable, strong, and can last for years. Offered in 50″ and 58″ heights. A simple, self-maintained fence for the ideal property owner. Rails can be easily replaced and maintained. Posts can be spaced on 8′ or 9′ centers with a 10′ rail overlapping each post. 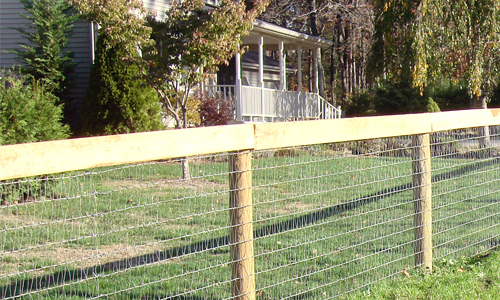 Made of polyvinyl chloride, these fences are considered safe and nonhazardous for horses. Offered with 5″ x 5″ hollow posts and 1.5″ x 5.5″ or 2″ x 6″ rails in white, tan, grey, or black. Due to the pressure treated southern yellow pine rails, this fence is sure to last a lifetime! This very popular fence is great for variable climates. Offered in 3 or 4 rail heights with posts spaced on 8′ centers using 16′ oak rails spanning 3 posts. 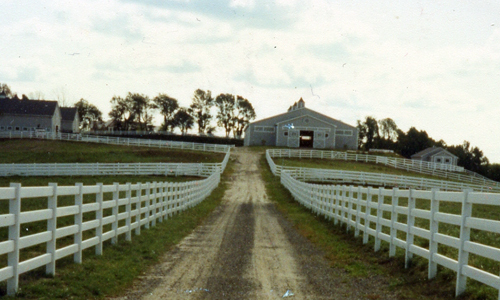 Mesh wire fences are considered to be extremely safe for broodmare and foals. This specific type is a low maintenance fence which prevents outside predators. Offered in 2″ x 4″ configurations in 4′, 5′, and 6′ heights. A rustic, classic look available in a variety of materials. Posts are spaced at 10′ centers with 11′ rails. 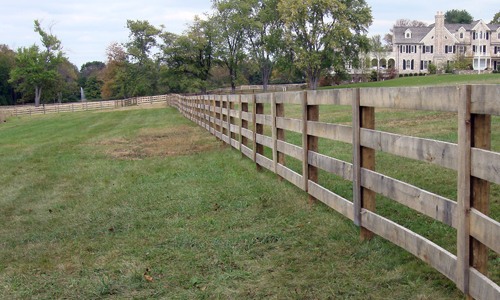 Offered in locust posts and hardwood rails, pressure treated posts and rails, and cedar posts and rails. 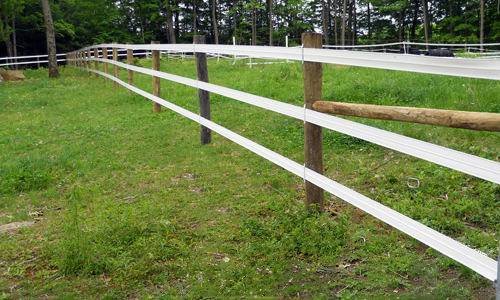 Made of polyvinyl chloride, these fences are considered safe and nonhazardous for horses. This cost effective PVC fence is offered with 4.25″ x 5.25″ rails with 3 strands of high tinsel wires encased in the strap.